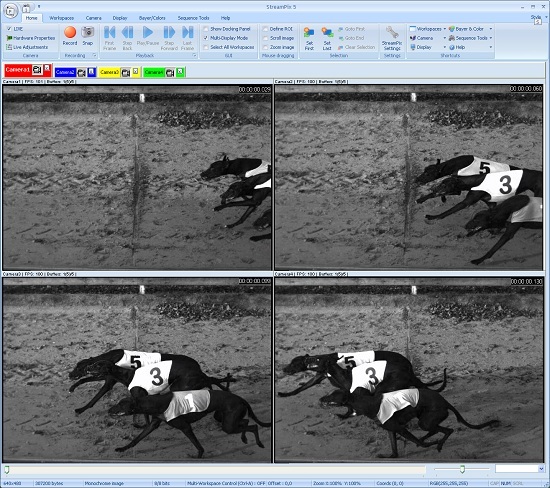 Norpix StreamPix developed its software for various high-level sport. Whether to analyze the athletes movement or footage competitions, StreamPix is the perfect solution. Norpix offert easy way to do photo finish line for all type of race, that make easy for the official to set the position and the time of eatch competitor. The camera recording sotware do not need technical expert to operate. The high-definition recording is used by high-level athlete to see their performance in order to perfect their technique. View more details about sports applications.